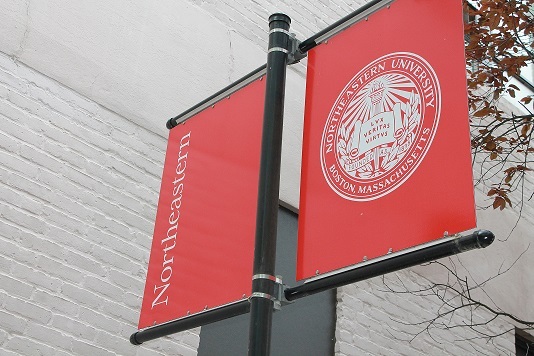 Founded in 1898, Northeastern University is a private research university located in the heart of Boston. Northeastern is a worldwide leader in experiential learning and interdisciplinary research aimed at meeting global and societal needs. The university’s broad mix of experience-based education programs—our signature cooperative education program, as well as student research, service learning and global learning—helps students to build the knowledge and connections that enable them to transform their lives and the world. The university offers a comprehensive range of undergraduate and graduate programs. Northeastern University School of Law is the preeminent US law school in experience-based legal education. Our unique approach to training lawyers brings together outstanding classroom teaching with simulation courses based on real-world legal problems, clinical programs working with real clients, and legal placements with law firms, courts, corporations, and governmental and nongovernmental organizations in the United States and around the world. Students gain the intellectual tools, practical experience and confidence they need to become outstanding legal professionals. The School of Law’s LLM program combines the best elements of our extensive academic offerings with courses specifically designed to give LLM students the foundational knowledge and skills they need to become effective global lawyers. Whether you are looking to enhance your understanding of the US legal system, gain firsthand practice experience working with US lawyers, increase your expertise in a particular field of law, or enhance your attractiveness to employers in your home country, an LLM from Northeastern University School of Law will help you to achieve your personal and professional goals.